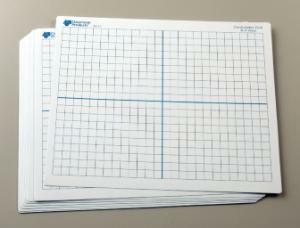 These economical double-sided plastic coated mats feature a 1 cm grid with x-y axis bolded for easy graphing activities. 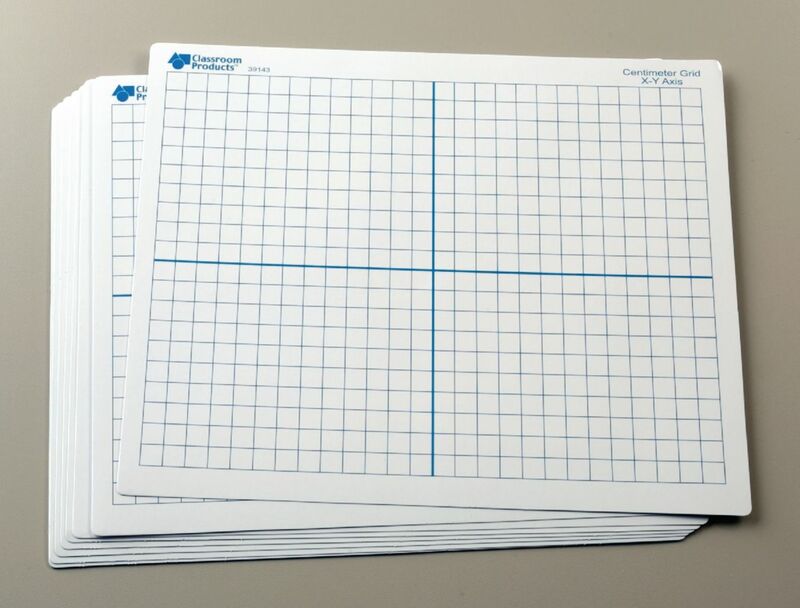 Use dry or wet erase markers to plot along each axis; the grid squares allow students to easily visualize the relationships between numbers and space on the graph. The other side of the mat is blank for your own activities. and both sides can be used with dry or wet erase markers. Size of each: 9" x 11". Pack of 10.